Melissa Etheridge coming to NJ - Find out what to Expect! The NJ State Theater has seen its share of legendary icons come through its doors. With that said, on November 30th, you can add one more legend to that list. At 8:00 pm sharp, Melissa Etheridge will take the stage and perform some of her most famous Christmas hits! That’s right! It’s that time of the year again! So to get you in the spirit, we’re letting you know a week in advance. So mark your calendars now, make those plans and catch the details down below! Now that you’ve made those plans, here’s the 411. Being that Thanksgiving is on the 22nd, this event coincides with the official start of the Christmas holidays. So to set things off on the right note, Melissa Etheridge will set the holiday tone. According to sources, she’ll be performing holiday classics such as O Night Divine and of course, Merry Christmas Baby! So with that said, all you have to do now is get those tickets and be there! We think most of you will love this show! Plus, this is a memory that’ll never fade away. And if you’re reading this late and realizing you missed it, don’t worry we’ve got a plan B for you! In conclusion, this is going to be an amazing event and a wonderful time for all those who make it. So, hopefully, you’re not reading this news to late. Now if that turns out to be the case, here’s a top tip. First, go back to your calendars and circle December 21-23rd. You know why? Because that’s when the Nutcracker comes to town! That’s right, on Sunday, December 21st, NJ State Theater will host America’s most beloved ballet. 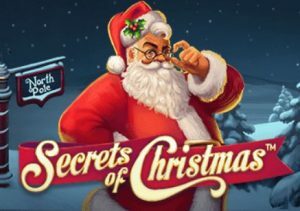 Also remember that if you’re looking to get into the Christmas spirit already, well many online casinos offer Xmas theme slot! So, give them a spin! Who knows, you might get lucky! On that note, we wish you a Happy start of the Holidays season! Let’s be jolly and merry! Ho ho ho and lucky too!